Composed by Arthur Gorman. Collection. Sacred, Choral. Accompaniment part. Neil A. Kjos Music Company #V62. Published by Neil A. Kjos Music Company (KJ.V62). 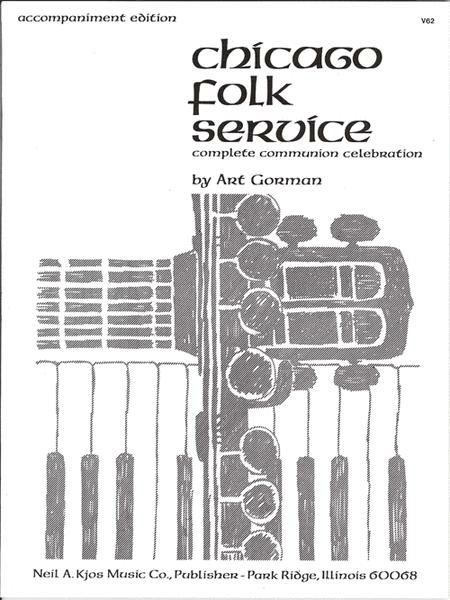 Art Gorman's Chicago Folk Service reaches the minds and hearts of contemporary youth and provides a bridge of understanding among all generations. The work began in Chicago's inner city, and over 25 years spread and evolved, with contributions from all over the country, into its present form. 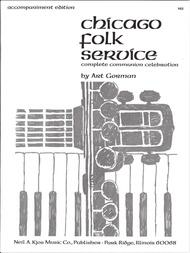 Chicago Folk Service, a complete communion celebration, is an answer for youth seeking relevance and understanding in worship today. Flexible accompaniment parts for guitar, keyboard, flute, bass, and optional percussion are included. Accompaniment Edition. this music to spice up your evening services. The Lutheran Church I attended when I was 10-12 years old used this service, and the music has remained some of my favorite, even now. 27 of 44 people found this review helpful. and excite the worshipper. I think I will introduce this to a new group of young adults.